Coming to you from the ReachMD Studios in Fort Washington, Pennsylvania, this is CME on ReachMD. I’m Dr. Matt Birnholz, and this activity is provided in partnership with Prova Education and supported by an independent educational grant from Genentech and Takeda Oncology. In this activity, we’re going to hear from nurse practitioner Jen Ackil and Dr. Alice Shaw about the role of inhibitors in non-small cell lung cancer treatment paradigms. Let’s hear what they have to say now. Did you know that ALK+ lung cancer occurs in 5 to7 percent of patients with non-small cell lung cancer? And since half of these patients develop brain metastases, it’s no wonder that more and more clinical trials focus on emerging treatment options, like ALK+ inhibitors. But what exactly are these inhibitors, and where’s their place in non-small cell lung cancer treatment paradigms? This is CME on ReachMD, and I’m Jennifer Ackil, Nurse Practitioner from/at (add creds here). Joining me to discuss Non-small Cell Lung Cancer is Dr. Alice Shaw, Director of Thoracic Oncology at Massachusetts General Hospital and Professor of Medicine at Harvard Medical School in Boston. Dr. Shaw, welcome to the program. So, to get us started, Dr. Shaw, can you tell us about the pathobiology of ALK+ non-small cell lung cancer and the genetic abnormalities that may affect your therapeutic approach? Sure. So, ALK rearrangement occurs in about 5% or so of our patients, and for those patients with ALK rearrangement, we often refer to them as ALK+. So, ALK+ lung cancer means that the lung cancer harbors this genetic rearrangement of the ALK gene. ALK stands for anaplastic lymphoma kinase, which is a receptor tyrosine kinase that can perturb the growth of a cell when it’s activated through a rearrangement. So, chromosomal rearrangements lead to aberrant expression as well as constitutive activation of the ALK kinase, and this constitutive activation drives the growth of tumor cells and the abnormal survival of tumor cells. Just as a follow-up to that, is genetic testing now routine across our country’s healthcare system? It is a formal recommendation of the NCCN that all patients with advanced nonsquamous non-small cell lung cancer undergo molecular testing at the time of diagnosis, and at the minimum, molecular testing should include testing for EGFR mutations, ALK and ROS1 rearrangements. And ideally, this testing is performed as part of multiplex molecular testing where we’re not just focused on EGFR, ALK and ROS1, but, in fact, we know that there are a number of other genetic alterations that can confer sensitivity to targeted therapy, so ideally, we’re testing for multiple different genetic alterations all at the same time at the diagnosis of advanced nonsquamous non-small cell lung cancer. So, what exactly is the mechanism of action of ALK inhibitors? And how have these inhibitors changed the outlook for our ALK patients? So, ALK rearrangement in cancer cells leads to the abnormal expression and constitutive activation of the ALK kinase, and now this constitutive ALK kinase activation drives all of the signaling from downstream pathways, and this confers really exquisite sensitivity then to small molecule tyrosine kinase inhibitors that can very specifically block the activity of ALK. Patients generally exhibit a very robust response to these ALK-targeted therapies because the targeted therapy shuts down the activated oncogene. Now, we’ve seen over the years… We’ve been developing ALK inhibitors now for a little over a decade, and what we’ve seen over the past decade is that these ALK-targeted therapies have really transformed the natural history of disease for patients who have advanced ALK+ lung cancer. Before we actually had any of these ALK-targeted therapies in the clinic, patients with advanced ALK+ lung cancer had a very poor outcome. And in 1 retrospective study that we published a number of years ago in Lancet Oncology, we showed that patients with ALK+ lung cancer who had never received an ALK-targeted therapy had an outcome very similar to patients with sort of unselected advanced non-small lung cancer, so prognosis was very poor. But what we’ve seen in more recent studies, particularly in the context of clinical trials of these ALK-targeted therapies, is that patients with advanced ALK+ lung cancer are living longer and longer. There also have been a number of retrospective single and multi-institutional studies looking at overall survival of patients with advanced ALK+ lung cancer and showing in some institutions, some studies, that median overall survival can even extend to 7 to 8 years, and it’s really a huge improvement compared to what we used to see where overall survival for patients with advanced non-small cell lung cancer was closer to about 1 year. That’s remarkable. For those of you just tuning in, you’re listening to CME on ReachMD. I am nurse practitioner Jennifer Ackil. I’m speaking today with Dr. Alice Shaw about non-small cell lung cancer. So, Dr. Shaw, now that we’ve covered ALK inhibitors, let’s turn our attention to available pharmacologic treatments for ALK+ non-small cell lung cancer. Since there is a lot to unwrap here, can you first talk about the different generations of ALK inhibitors and the benefits of each? Sure. So, as of today, 2019, there are 3 generations of ALK inhibitors in the clinic. The first-generation drug was crizotinib , which was actually originally developed to target a different kinase called MET but, in fact, ended up being repurposed as a very effective ALK-targeted therapy. In fact, that was the first ALK-targeted therapy approved for patients with advanced ALK+ lung cancer. Crizotinib is, I would say, a moderate inhibitor of ALK, but unfortunately, crizotinib has some limitations in terms of its ability to penetrate into the brain. Early on in the studies of crizotinib, the phase I and II study, while we were seeing very dramatic responses early on, we were also, unfortunately, seeing resistance develop, sometimes after a few months, sometimes after a few years, but on average after about a year of treatment, so we knew very early on that resistance was going to be an issue with crizotinib. And this understanding really spurred the development of a whole new class of ALK inhibitors, which we refer to as second-generation inhibitors, and these include drugs such as alectinib, ceritinib, and brigatinib. Now, these second-generation inhibitors were really developed to be more potent ALK inhibitors and to overcome what we thought at the time was a very common ALK-resistance mutation, so a mutation in the kinase domain of ALK causing resistance to crizotinib, and the most common one is the gatekeeper ALK 1196M mutation. So these second-generation drugs were designed to be more potent and to overcome this gatekeeper mutation, and it also turned out that these second-generation inhibitors also had much better brain penetration then crizotinib . The second-generation class was first tested in patients who had failed crizotinib and showed really remarkable activity. Patients who had failed crizotinib, anywhere from 50–70% of patients, will go on to have yet another response to a more potent second-generation inhibitor. And these 3 drugs—alectinib, ceritinib, and brigatinib—are approved for patients who have failed prior crizotinib. However, again the problem of resistance comes up even with these more potent second-generation inhibitors. And once patients fail second-generation inhibitors, there are even other ALK-resistance mutations that can develop, and knowing what these mutations are and knowing that brain metastases are a common problem in these patients really led now to the rational design of third-generation ALK inhibitors. And in this class is a drug named lorlatinib, which was really specifically designed by medicinal chemists to be able to overcome all of the known single ALK-resistance mutations as well as to penetrate into the central nervous system to a high degree, so it was really designed specifically to address this major problem that we see in patients who are failing first- and/or second-generation inhibitors. Lorlatinib is now also FDA approved, also approved in Japan for patients who have failed a second-generation ALK inhibitor. With all of that in mind, how does a clinician choose which option is best to use in the first-line setting? About a year or year and a half ago, we actually started to see now the results of clinical trials examining second-generation inhibitors as first-line therapy. And, in fact, over the last year and a half now, the field has really transformed, and what we’ve seen is that second-generation inhibitors now have basically replaced crizotinib. So, currently in the US, alectinib is fully approved for patients who have newly diagnosed advanced ALK+ lung cancer, and so these days, if we meet a patient with newly diagnosed advanced ALK+ disease, we do tend to skip over crizotinib and we go right to alectinib as our first-line therapy. There has been a recent trial of this other second-generation drug brigatinib compared to crizotinib as first ALK TKI, also showing a very similar benefit to using a second-generation inhibitor brigatinib over crizotinib, and so brigatinib may also be an option for first-line use in these patients. So, how would second- or third-line therapy differ depending on which first-line ALK inhibitor you use? So, lorlatinib is a third-generation ALK inhibitor that is approved for patients who have failed a second-generation ALK inhibitor like alectinib or ceritinib, either given as their first-line therapy or given after crizotinib, so if we have patients in the clinic who have failed prior crizotinib as well as prior alectinib in that sequence, those patients can go on to a drug like lorlatinib. And similarly, if we have a patient who has failed first-line alectinib and that’s their only ALK inhibitor that they have received, those patients lorlatinib is also indicated. Now, there are obviously many facets to the care continuum for a patient with non-small cell lung cancer. Could you break down what an interprofessional team looks like and how they all work together to support the patient through his or her treatment? I would say all of our patients with advanced lung cancer are treated by a multidisciplinary team—so not just our ALK+ patients, but I would say all of our patients—and this multidisciplinary team typically includes the MD, the physician, as well as a nurse practitioner on the team, often a nurse and a social worker as well. But these teams can often become very, very large depending on the needs of the patients, and so many of our patients also work very closely with other specialists, such as radiation oncologists, thoracic surgeons, sometimes our pulmonary colleagues, our interventional radiology colleagues. Now, we do work very closely with our nurse practitioners. And in fact, Jen, I think maybe you could comment as well on your specific role in the team when managing patients with advanced ALK+ lung cancer. Yes, I’d be happy to. As Dr. Shaw mentioned, the nurse practitioners in our group work very closely with this interdisciplinary team, and we often are on the forefronts of patient interactions. We see our ALK patients and all of our non-small lung cancer patients very frequently, and we’re sort of involved in almost all steps of patients’ care from diagnosis through treatment and beyond. I would say one of the major roles that I think Jen and other NPs in our group serve is really helping to manage some of the side effects or toxicities of these ALK inhibitors. I think that’s a good point, Dr. Shaw. The nurse practitioners are often the first line for patients to reach a person in our clinic with these symptoms, and so we have worked very closely with Dr. Shaw and lots of our investigators as these ALK inhibitors have been developed and have learned a lot about the side effects and how we manage them. Before we close, Dr. Shaw, is there anything else you’d like to revisit or mention that we haven’t touched upon today in our discussion? We briefly talked about clinical trials and how these ALK inhibitors, of course, the whole sort of path to approval is through clinical trials, and I guess I would emphasize that clinical trials are really an important thing for our patients to consider. It really is the only way that we have to test new therapies, to bring new therapies to patients and really to make progress in the field. That’s a great way to round out our discussion. And I’d like to thank Dr. Alice Shaw for helping us better understand non-small cell lung cancer. It was great speaking with you today, Dr. Shaw. Thank you. That’s a great way to round out our discussion, and I’d like to thank Dr. Alice Shaw for helping us better understand non-small cell lung cancer. It was great speaking with you today, Dr. Shaw. That was nurse practitioner Jen Ackil and Dr. Alice Shaw on non-small cell lung cancer. To receive your free CME credit for this activity provided in partnership with Prova Education, be sure to complete the post-test and evaluation at reach-m-d-dot-com-slash-c-m-e. I’m Dr. Matt Birnholz, and this is CME on ReachMD. Be part of the knowledge. Just how safe and effective is the use of ALK+ inhibitors for treating non-small cell lung cancer? Here’s what the latest clinical trials have found. ALK+ lung cancer occurs in about 5-7% of patients with non-small cell lung cancer, of which half of these patients develop brain metastases. That’s why more and more clinical trials are focusing on emerging treatment options, like ALK+ inhibitors. This activity will discuss what exactly these inhibitors are and their place in non-small cell lung cancer treatment paradigms. Ann Early has nothing to disclose. Barry A. Fiedel, PhD has nothing to disclose. Nick Lombardi has ownership interest with Vertex Pharmaceuticals. Lawrence Sherman, FACEHP, CHCP has nothing to disclose. Brian P. McDonough, MD, FAAFP has nothing to disclose. 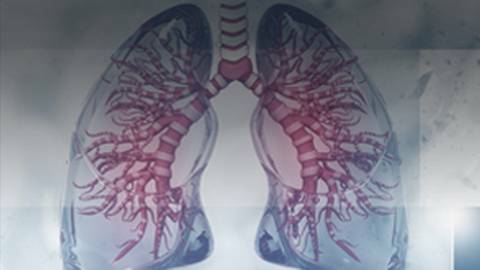 Formulate strategies to incorporate the latest recommendations for molecular profiling of NSCLC as means to overcome current adoption barriers. Identify the respective roles of oncology team members with regard to diagnosing and managing patients with ALK+ NSCLC. Evaluate evidence from clinical trials on the effectiveness and safety of approved and emerging ALK TKIs, and assess their place in current treatment paradigms. This activity is designed to meet the educational needs of medical oncologists and other members of the interprofessional team who are involved in the management of patients with non-small cell lung cancer. Prova Education, designs and executes continuing education founded on evidence-based medicine, clinical need, gap analysis, learner feedback, and more. Our mission is to serve as an inventive and relevant resource for clinical content and educational interventions across a broad spectrum of specialties. Prova Education's methodology demonstrates a commitment to continuing medical education and the innovative assessment of its effects. Our goal is clear—to develop and deliver the very best education in the most impactful manner and to verify its results with progressive outcomes research. This activity is supported by an independent educational grant from Genentech and Takeda Oncology. The views and opinions expressed in this educational activity are those of the faculty and do not necessarily represent the views of TOPEC and Prova Education. This presentation is not intended to define an exclusive course of patient management; the participant should use his/her clinical judgment, knowledge, experience and diagnostic skills in applying or adopting for professional use any of the information provided herein. Any procedures, medications, or other courses of diagnosis or treatment discussed or suggested in this activity should not be used by clinicians without evaluation of their patients’ conditions and possible contraindications or dangers in use, review of any applicable manufacturer’s product information, and comparison with recommendations of other authorities. Links to other sites may be provided as additional sources of information. Once you elect to link to a site outside of Prova Education you are subject to the terms and conditions of use, including copyright and licensing restriction, of that site.